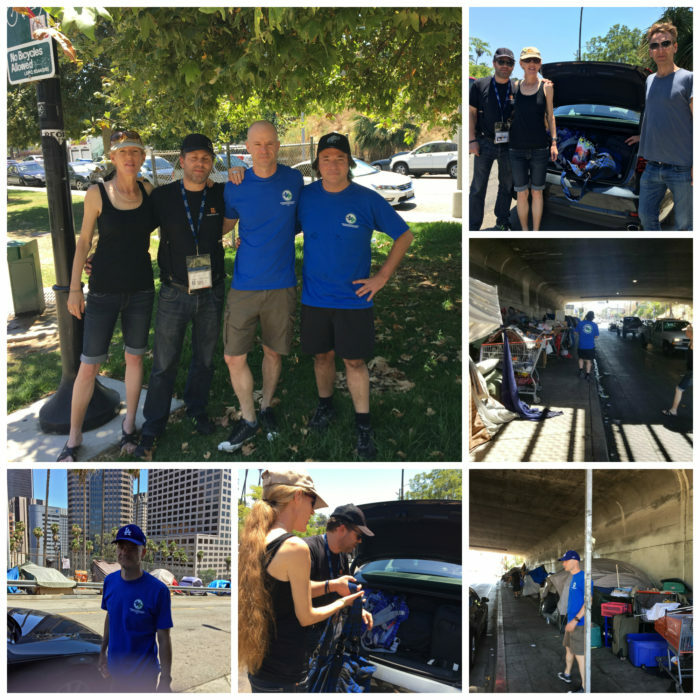 The Homeless Women’s Outreach Coalition distributed essential items and water to 63 people in six different homeless encampments on Sunday, June 25. For Emily, one of the volunteers, the day’s rounds were her way of paying it forward. Six years ago, Emily was able to get off the streets thanks to the assistance of our coalition partner G.O.A.L. Advocacy Foundation. After years of being chronically homeless, she has been fully rehabilitated for the last six years. Kaiser Sunset Registered Nurses Association (KSRNA) Treasurer Chris Massie, RN, Robin Nixon from G.O.A.L. Advocacy Foundation, G.O.A.L. volunteer Roger Hunt, and UNAC/UHCP Political Rep Jeremy Lanni all braved the heat with Emily to try and provide assistance to as many people as possible. The June 25 outreach went extremely well thanks to the efforts of UNAC UHCP Kaiser Sunset – LAMC KSRNA, G.O.A.L. Advocacy Foundation, Highly Favored: A Blessing to Others, and our UNAC/UHCP Political Department.